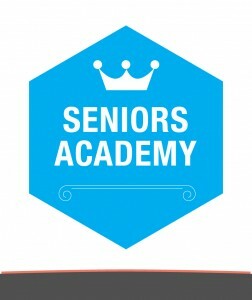 The Seniors Academy is a social-educational project undertaken by Student Plus Foundation that consists of foreign language and culture and computer courses for retirees. By participating in these courses, the seniors of Timisoara have the opportunity to socialize and communicate in the English language, under the guidance of Roman and native speakers of English. Since September 2008, over 700 senior students were enrolled in the English language classes. Enrollment for these series can be made permanently at the Foundation Student Plus or online on our site, www.studentplus.ro. Each series of classes end with a social event. The participation in the current series of courses is conditioned upon registration at the Foundation and payment of a registration fee of 100 lei for the computer classes and 80 lei for foreign languages classes. All other costs are supported by the Student Plus Foundation and sponsors. We receive applications for the new series of classes at the Student Plus office, address B-dul Take Ionescu 40, Timisoara, and on-line applications by filling the Application Form available online. The registration fee: 100 lei for the computers course and 80 lei for the language courses.